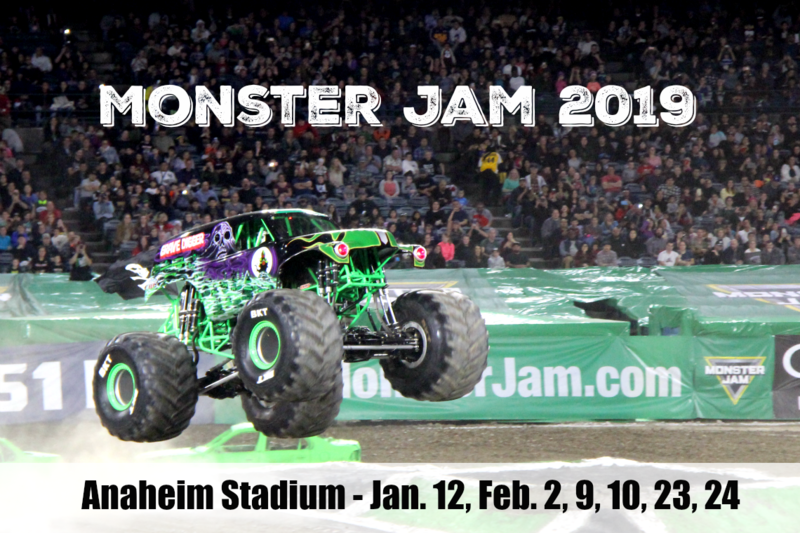 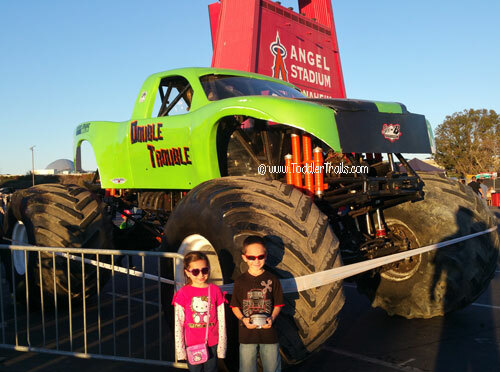 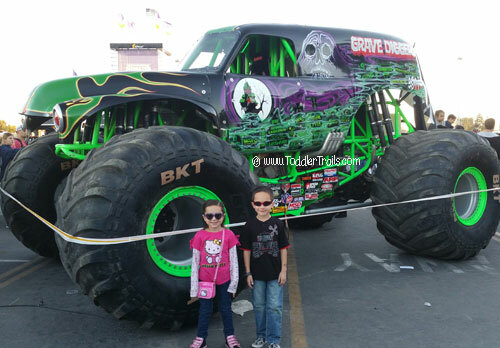 Over the weekend we decided to take the family out for a rip roaring, high flying great time at Monster Jam at Angels Stadium. 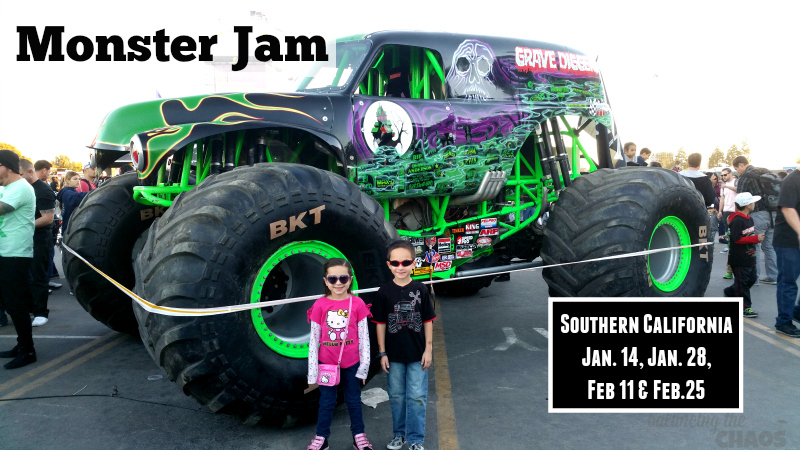 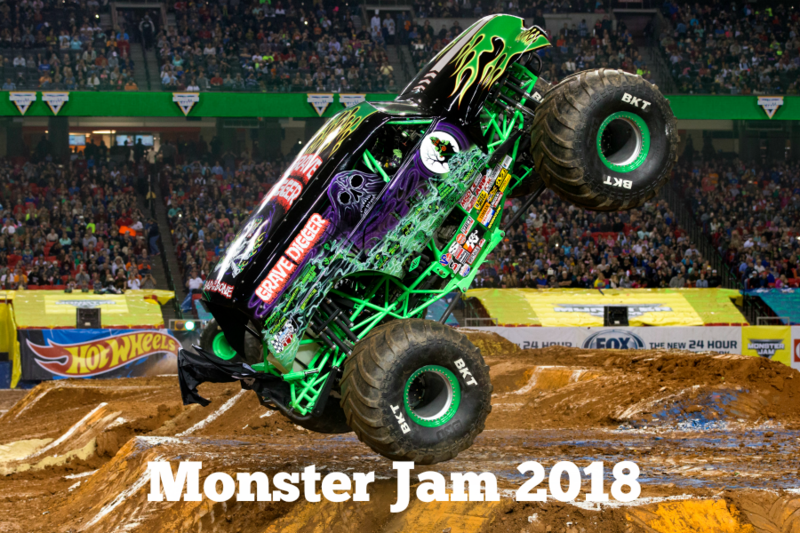 Since we went to the event last year, we have become excited Monster Jam fans. 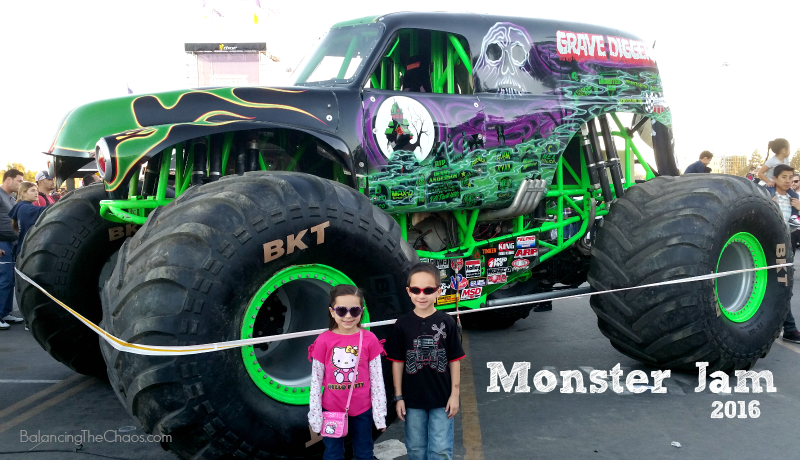 The Hubster and my little guy are now collecting as many mini Monster Trucks they can find at local toy stores or even online, so it’s quite a treat when they can see these giant cars up close.